No word yet on the exact opening date, but according to the BBJ the Pinkberry on Newbury Street should be open by the end of the month. Frozen yogurt chain Pinkberry is set to open its doors in the Back Bay neighborhood later this month, the company said on Wednesday. 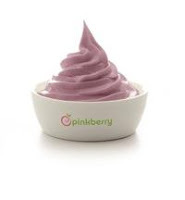 Pinkberry, known for serving up tart flavors of frozen yogurt, will open at 286 Newbury Street, marking its second store in New England this year. I know that they were StyleFixx event (here) last week, so I'm sure Pinkberry will be here sooner rather than later. 0 Response to "Pinkberry Back Bay Opens in ~2 Weeks"